Last time I stood in the shadow of a cruise ship I came over all emotional. We had just disembarked after our first family cruise and had packed so much into just eight days it was a bit overwhelming. The cruising bug had bitten. However, with no other seaborne holidays in our travel diary I’ve been getting a bit twitchy on dry land. So, I was over the moon to get an invite to #BlogCampOnboard on MSC Preziosa while she was alongside in Southampton. Aside from catching up with lots of blogging friends it was a fabulous opportunity to find out how MSC and MSC Preziosa caters for kids. 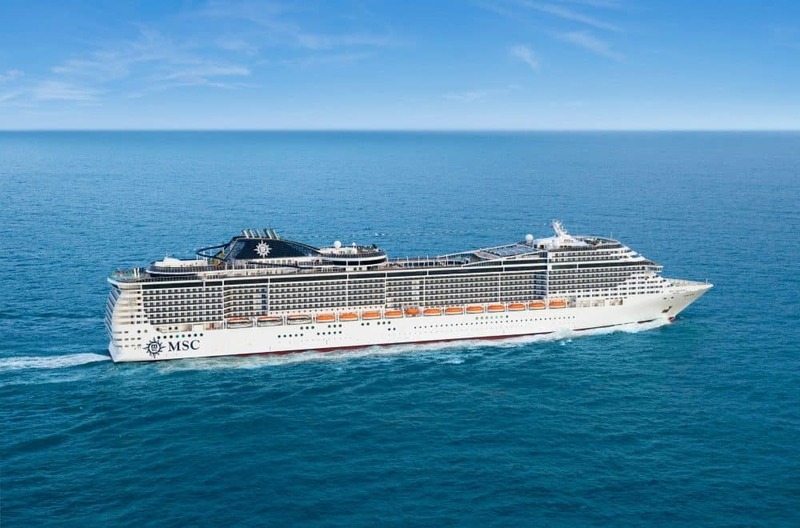 Here’s a bit more about this glamorous ship, what’s onboard for families and how MSC is tapping into the growing family cruise market in the UK. What makes MSC Preziosa family-friendly? This fact was a bit of a shock to me. As a former Sotonian I’m used to seeing a fair few ships in the UK’s busiest cruise port. But MSC wasn’t a cruise line high on my radar. 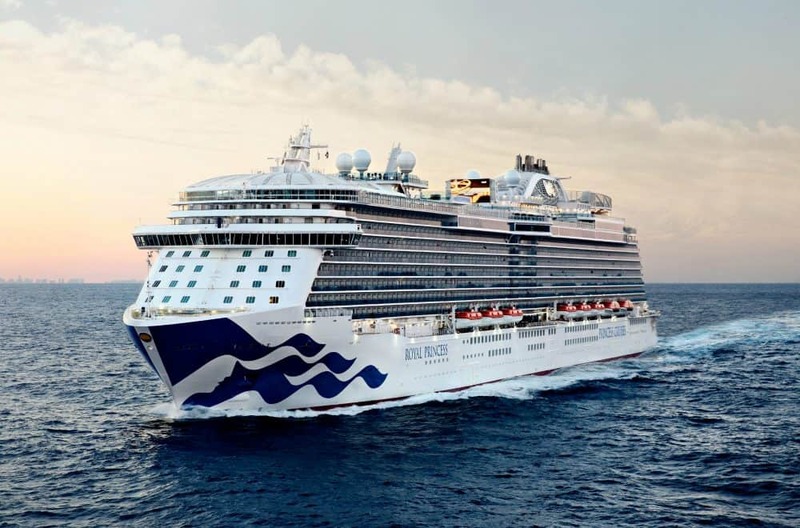 However, it is the world’s largest privately owned cruise line with 13 ships sailing all year round in the Mediterranean and Caribbean, plus seasonal itineraries elsewhere in the world. With 10 more ships being added to its fleet in the next decade MSC is going to become a much more regular visitor to the UK. I think the very best fact that I scribbled down during this ship visit was that MSC’s average passenger age is 43-years-old. That’s more than 10 years younger than the cruise industry average! It’s an encouraging sign that more families are taking to the high seas for their holidays and that MSC is making itself attractive to people travelling with kids. So what are they doing right? MSC have five kids clubs on each of their ships starting with a babies club through to teens aged 14 to 17-years-old. These are open daily from 9am until 11pm and are free of charge whether parents are onboard relaxing or off on an excursion. Each year MSC entertains 200,000 kids from 34 different nationalities. While English is the main language spoken onboard LEGO is the second. MSC formed a partnership with the clever little brick people because no matter where kids are from they ‘get’ LEGO, so it’s great for breaking down language barriers onboard. They also have partnerships with the baby equipment experts at Chicco and UNICEF to talk to children about becoming Junior Ambassadors for the charity. The programme of activities for kids includes talent shows, cooking, sports, 3D printer craft, games consoles and using technology to make their own mini television shows. All of these activities and the spaces they happen in are age appropriate. As well as the kids clubs families can have fun together taking part in sports, talent shows, cooking classes, bowling and a family disco. Then there’s the pools – three of them, including one under cover – plus the Doremi Castle splash park, which I know my girls would love. They might also be brave enough to try Vertigo – the longest single-rider water slide at sea. You can also sit back and be entertained in the Platinum Theatre or the XD Theatre 4D cinema experience. On MSC’s newest ships a specially choreographed Cirque du Soleil experience has been introduced. There are also plans for British comedians, and a British cruise director to join MSC’s fleet – upping their appeal to UK market. For us, cruising is just as much about the destinations as the standard of the ship’s entertainment programme. MSC makes sure there are family-friendly shore excursions at each port of call so that families have a good choice of things to do both on and off the ship. When kids want to eat, they want to eat! Luckily there’s always somewhere to grab a bite on MSC Preziosa. The Galaxy restaurant serves food all day and I can recommend lunch in the Golden Lobser restaurant where you can sit down for an à la carte meal or tackle the three course hot and cold buffet. For babies, the ship has bottle warmers and high chairs, and serves basic weaning foods like pasta soup, chicken breast, cheese and vegetables every day. For older kids there’s an Italian-inspired children’s menu. I bet you can’t guess what kiddie friendly options are on that! This is an area of the ship that us nosy bloggers weren’t able to see because each MSC cruise is fully booked when it leaves port. I doubt the guests would have appreciated us stomping through their rooms! 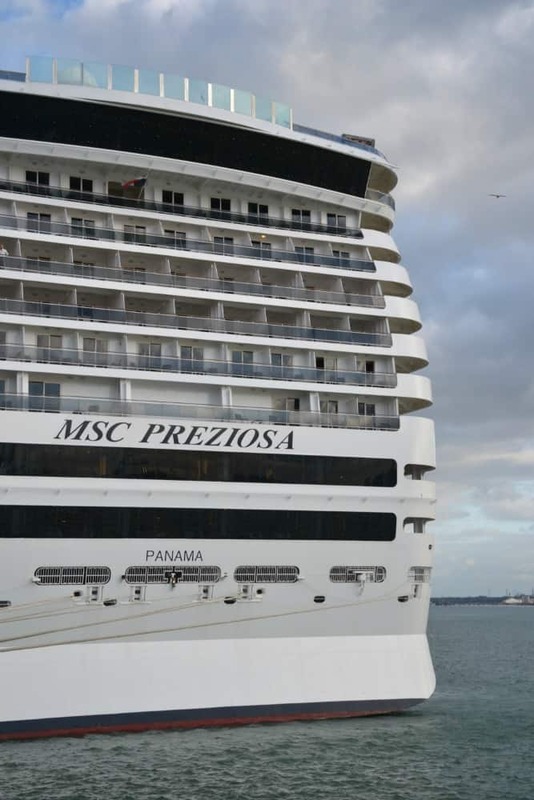 MSC Preziosa has nine grades of cabins, 65% of which have balconies. Each cabin is big enough to fit a baby’s cot, which is supplied by the ship and comes with pure cotton sheets. The largest family room you’ll find on MSC Preziosa is a Superfamily, which is two adjoining triple-berth cabins for up to six people. The plans for future MSC ships include cabins specifically designed for families of up to eight guests. As a family-owned company MSC understand that everyone deserves a break on holiday – even mums and dads. They set the scene for this in glittering style. The bars and restaurants come complete with lavish decors, providing the perfect setting for romantic date nights once the children are in kids club. Bringing bulky pushchairs and baby carriers with you on a cruise can be difficult, especially if you have toddlers who use them some days and not others. MSC Cruises have buggies and carriers to borrow onboard to save you lugging these from home. You can order milk for your cabin for that all important bedtime drink (extra charge applies) and there’s a small fridge if you want to stow snacks for kids that are ever ready for food (or even a bottle of wine for mum and dad!). To find out more about cruising with babies on MSC ships there’s a handy guide. Families booking a cruise on MSC Magnifica before 31 October 2017 can benefit from a special deal on a balcony cabin for the price of an inside cabin. Prices start at just £99 for kids aged 17 and under. This family-friendly offer is available on 23 sailings on board MSC Magnifica from March to October 2018. All cruises depart direct from Southampton. MSC Preziosa will also be calling in Southampton in 2018. Go to to the MSC Cruises website for full details of UK sailings. Disclosure: I was a guest of MSC Cruises and am sharing this post as part of a Trips100 competition to win a MSC cruise. All opinions and images are my own unless otherwise stated. Sounds like a fun day! Were there sessions too? That’s the problem I think we’d have. Tot was old enough but would have loved some back up in the clubs with her sister. But baby was too young. Next time it will be completely different. I can’t wait! Like you I hadn’t heard about MSC before, but it sounds as though they’ve gone out of their way to make cruising fun for families. Something I’d like to try some time! I can definitely recommend it. We loved out first family cruise! I completely agree Claire that the statistic that stood out most in my mind from our day onboard was average age of 43 years. That’s a whopping difference to the industry average of 53 years! MSC Cruises are certainly changing the perception of the cruise industry. Why was i ill! It looks like I missed a brill day! I can’t believe how much there is to do, the facilities are amazing! A splash park, Cinema and bowling onboard? 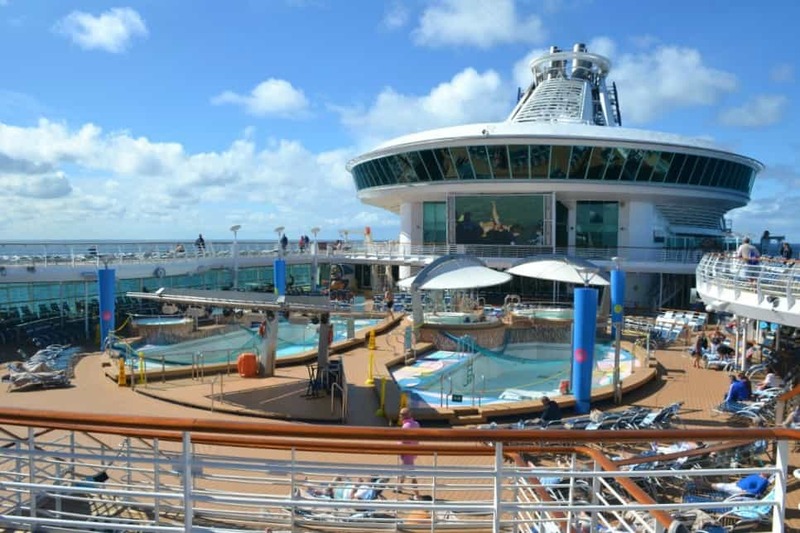 wowzers – You have totally sold a cruising holiday to us, Mr S really wants to try it out! Looks like there’s a stack of things for families to enjoy while aboard the ship. It’s great to see the cruise industry reaching beyond its traditional customer base. Doesn’t it?! I can’t wait to find out more about the new MSC ships! Gosh it’s impressive isn’t it? I love the idea of a free kids club too. I think we really need to give cruising a try! And MSC looks like they’re getting it all right for families! It’s fab Ting. All the luxury of a five star hotel and a new adventure on the dockside every day! I”ve not heard of MSC but WOW they tick so many boxes for us! 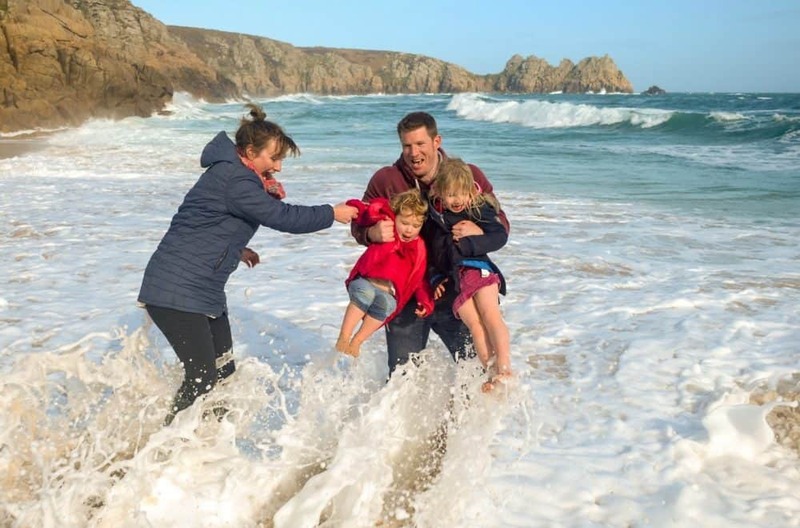 Love the idea of a free kids club and family cabins – as a family of 5, I always struggle with finding a cabin that would fit us all in so it’s great to know they’re out there! Hi Sam, the Meraviglia will have a cabin for five… as would presume all MSC ships built after her. Double for parents, bunk beds in an alcove for the kids and a sofabed. Or if you wish to, say you have an older teen who wants a wee bit more privacy, you can book adjoining solo that on the deck plan looks like a lounge (has sofabed) but has its own toilet/bathroom. So you’d have 5 in one or 4+1. They look sweet! Thanks Sanna! Great MSC knowledge!! I looks wonderful – and that’s coming from someone who up until recently wouldn’t ever entertain the idea of a cruise holiday! It looks like they have achieved a wonderful balance of sophistication and family friendly fun.